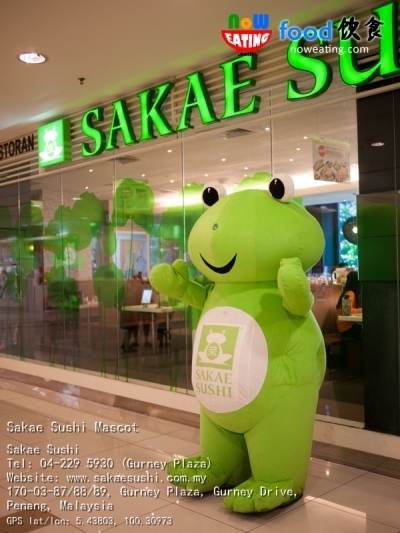 Each year, Sakae Sushi – the famous Singapore Japanese chain restaurant, will have its menu revised based on customer’s feedback and choices. This year is no exception. The new menu features over 50 delicious new additions spanning across numerous categories. During our recent visit, we managed to try some new items. Wafu Salad 和风沙拉 (RM6.98++) is a delectable starter consisting of avocado, lotus root, raisin and vegetables with a drizzle of wafu dressing. 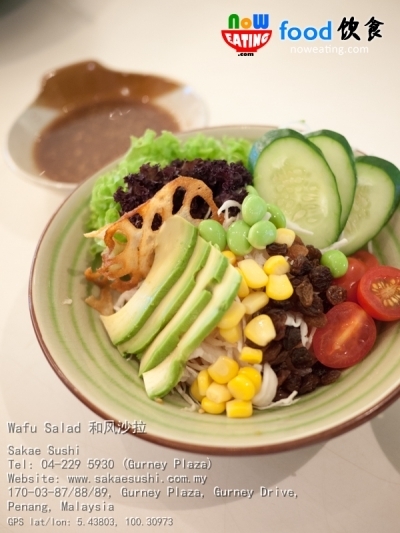 To enjoy, pour the wafu sauce into the salad bowl and mix well before serving. The added avocado and lotus root make this Wafu Salad stands out from ordinary salads. Perhaps the highlight during our visit was Sashimi Mori Zen 御膳刺身 consisting of seven kinds of sashimi, including ocean-fresh salmon, salmon roe, yellowtail, tuna, octopus, butterfish, and the new swordfish belly which is just released in this new menu. 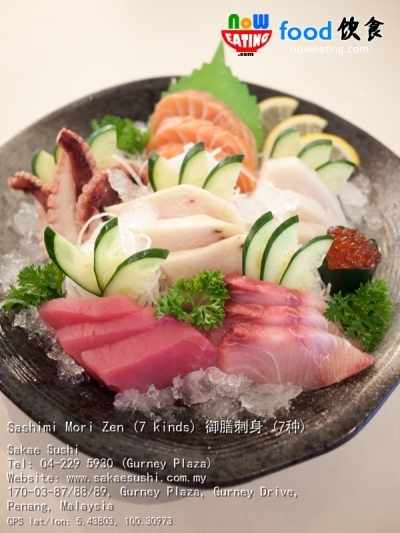 Sashimi Mori Zen comes in two sizes – RM26.98++ with 1pc each, and RM55.98 with 3pcs each. 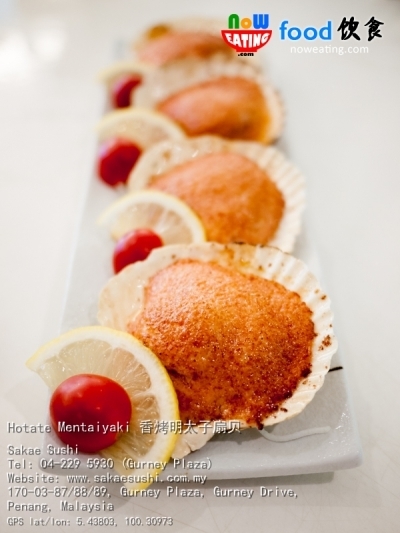 The new menu is also designed for solo diner who like to have more varieties in a single order. 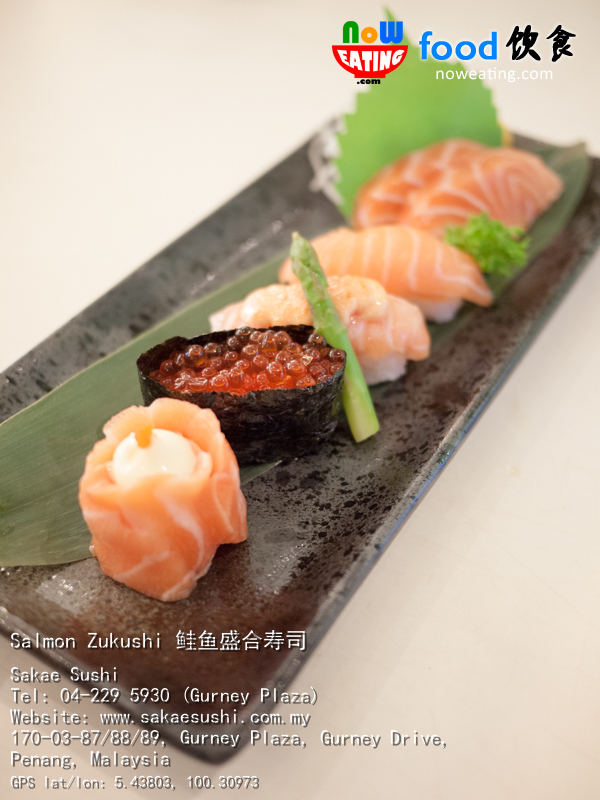 Salmon Zukushi 鲑鱼盛合寿司 (RM19.98++) is one of the solutions. It is an assortment of mouth-watering luxurious Salmon dishes that includes Salmon Mentai Sushi, Hana Maki and Salmon roe. 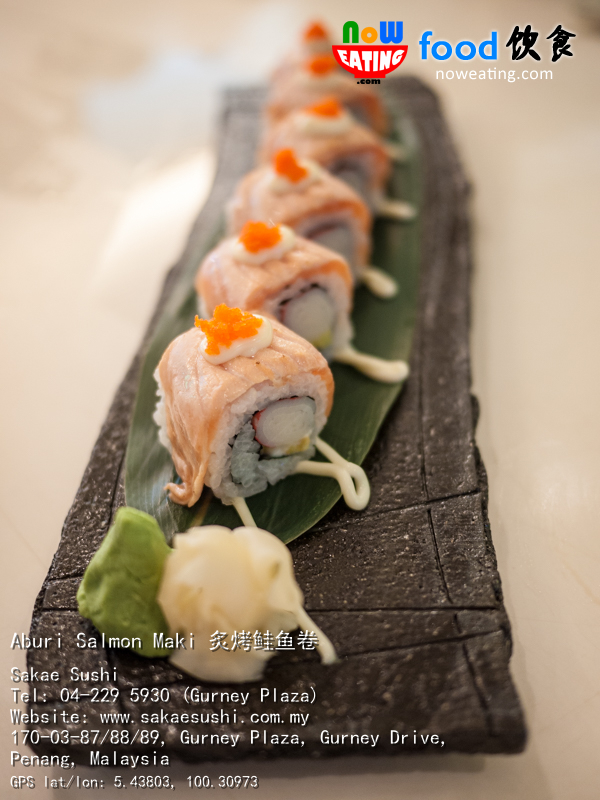 Another new item is Aburi Salmon Maki 炙烤鲑鱼卷 (RM19.98++) – an intricately-designed roll of luscious half-broiled salmon, crabstick, shrimp roe and mayonnaise. Hotate Mentaiyaki 香烤明太子扇贝 (RM20.98++) is one of their best sellers with succulent scallops grilled to perfection and topped with creamy codfish roe mayonnaise. Similar item can be found in some Japanese buffet restaurants but this one is at least three times better due to bigger size, generous and good quality topping. Cold noodle (Soba) is usually not our favorite but this Goma Soft Shell Crab Cha Soba 软壳蟹芝麻抹茶荞麦冷面 (RM17.98++) turned out to be exceptionally good. 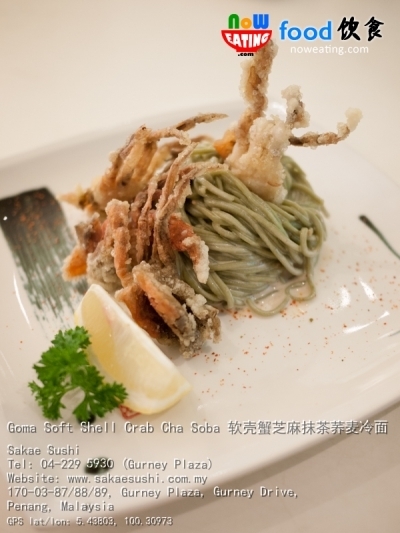 Instead of plain and cold noodle, Sakae’s noodle is made of authentic green tea buckwheat and is coated with a layer of sesame dressing which blended in quite well with crispy soft shell crab. 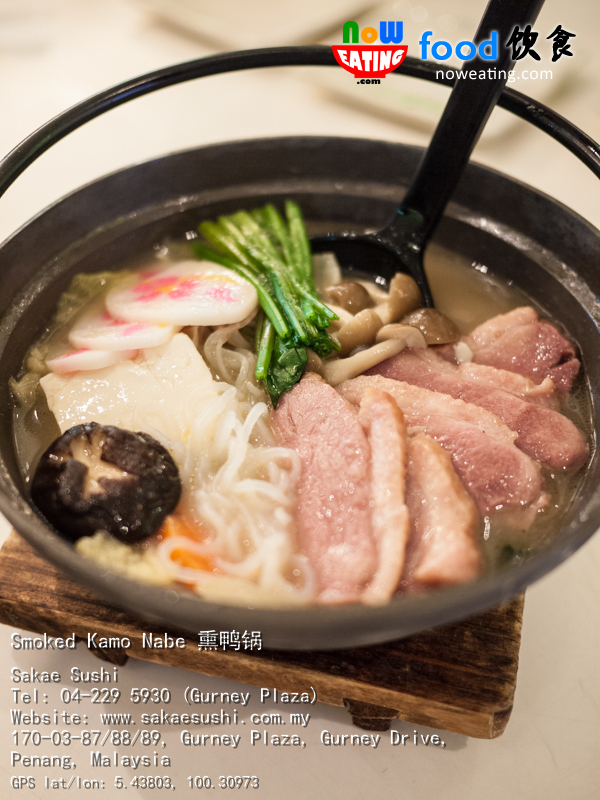 Smoked Kamo Nabe 熏鸭锅 (RM23.98++) is a tantalizing hotpot combination of tender smoked duck alongside assorted mushrooms and vegetables in clear broth. If you are tired of normal chicken hotpot noodle, the smoked duck version is definitely worth trying. We just returned from Cameron Highlands last month and this Yaki Corn Tempura 玉米天妇罗 (RM7.98++) reminded us of the sweet and juicy corn there. 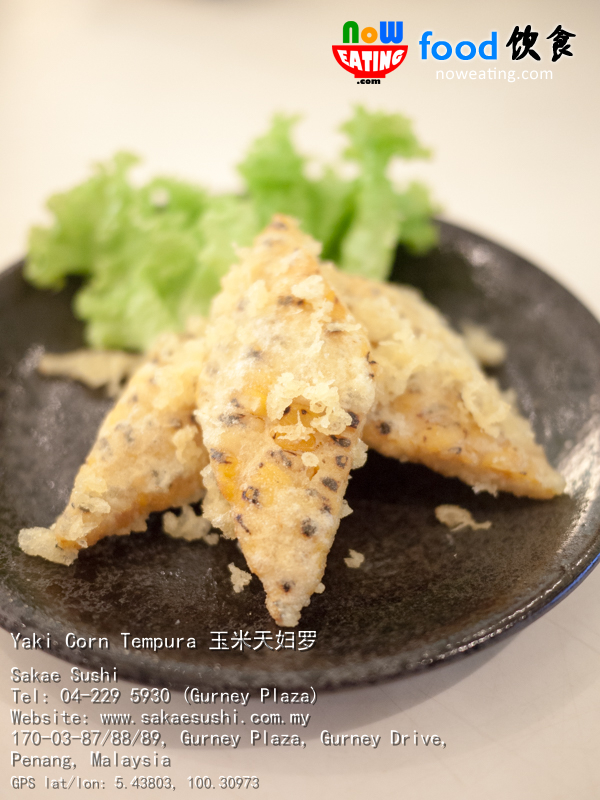 The juicy grilled corn is coated with golden tempura batter for a crisp delightful treat. A tempura hardly found in other Japanese restaurants. For years, we have a question for Sakae Sushi – Can adults order kid set? The answer is: YES! 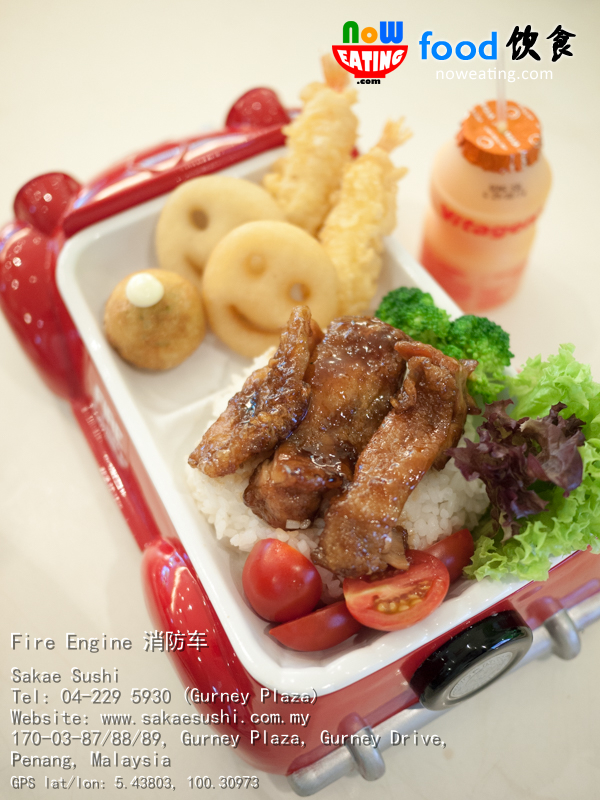 The new Fire Engine 消防车 (RM13.98++) is so adorable that you hope that you can take the fire engine toy home. The fun kiddy set consists of mouth-watering chicken teriyaki, mini prawn tempura, smiley potato fries, assorted vegetables, steamed rice, and a bottle of Vitagen of random flavor. 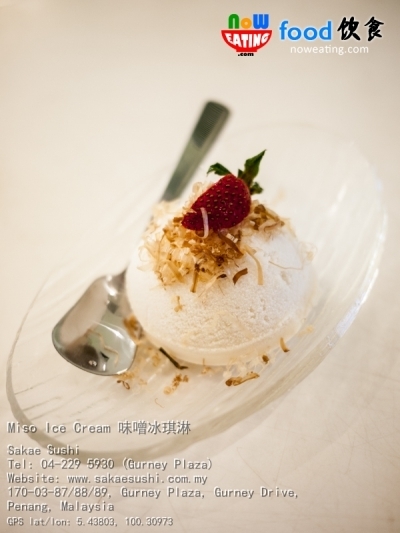 Sakae dessert is usually a category we skipped due to fullness but if you still have space in you stomach, do try their new Miso Ice Cream 味噌冰琪淋 (RM6.98++) topped with bonito 柴鱼 flakes. It brings together both sweet and mild saltiness flavors, a bit like eating coconut ice cream. Bored of normal Sakae’s Genmai Tea? 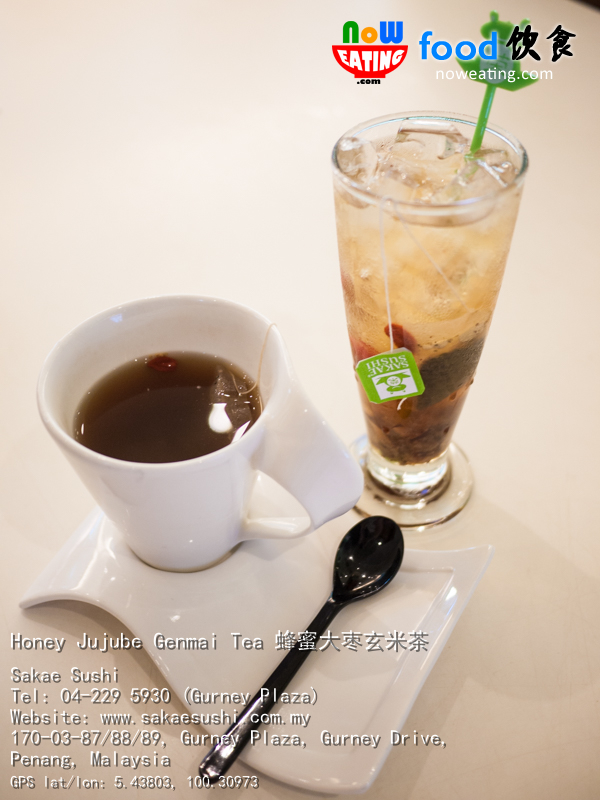 Try the new delightful and healthy treat – Honey Jujube Genmai Tea 蜂蜜大枣玄米茶 (RM7.98++ for hot, RM8.98++ for cold). It comes with a Genmai teabag with added honey, Jujube dates, and goji (wolfberry). Sakae Sushi is one of our favorite Japanese restaurants due to better food quality compared to competitors and rewarding memberships. 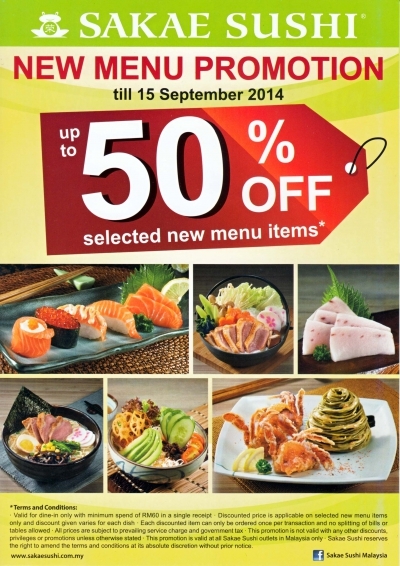 From now until 15-September-2014, enjoy up to 50% on selected new items (T&C apply. Please right-click on figure above and “Save link as” to read its T&C in bigger size).